So. I was going to write about silicon spatulas, or how Helen Mirren rocks, or how I am addicted to my new poster-making app; I wanted something light to counter-balance my rather serious column last week. But I can’t write about those things. Something is tugging my brain away from all those things. It won’t settle on them. Those are not my real thoughts, so I shan’t write them. For those of you who didn’t read last week’s column, it was about Stephen Fry, and my Dad, and bi-polar, and suicide, and how I reconcile myself to my own low moments. It was a breezy one, I’ll confess. Look it up if you fancy a hoot. I wrote it, certainly not as a throwaway piece, naturally, but as a small high-five of solidarity with Stephen, and a snapshot of my thoughts that morning circa my column deadline; wended that way by the news. I had absolutely no idea that it would be spread so widely by its readers on Twitter and Facebook, retweeted and shared by so many, that people would actively look me up and write to me, at such great length, so candidly, so beautifully. Having spent the last week reading and responding to so many messages it’s easy to be tempted to think that I am suddenly more ‘well known’; that my writing career is perhaps building. But none of it is to do with who I am, how I wrote the piece, which personal things I chose to touch briefly upon, or even if it was any good. It’s because I wrote it at all. People are desperate to feel like there are people who are in a similar situation to them, that people understand. Bi-polar, suicide, darkness, loss. People who need to send their thoughts elsewhere, fire them out of their own lives like lit matches, hoping they will catch on something or be extinguished forever. People want to talk. People need to talk. Some people need to talk right now, because they are in the midst of a low that is scaring them, from which they can see no way out. They wrote to me, a total stranger. I began to have the tiniest tiniest glimpse of what Stephen Fry, with his incomparably massive profile, must be recipient of, all the time. No wonder he feels duty bound to speak out. You begin to feel a bond with these people. You want to make it better. It has made me resolve to finish the book I’ve almost finished and to look into self-publishing because I think it deals with stuff some people clearly want to read; even (to my greatest fear), if I find in the bearpit of publishing that I am not a ‘proper writer’. It might only be a small thing, my words, but now I know that what people most respond to is not craft, but honesty. That is where they get their comfort. Yesterday was Father’s Day. It was also my birthday. It’s normally a strange few days, the day of Dads always circling around my ‘yay!’ day like a sad crow. He is not here anymore. I don’t get excited about my birthday anymore, sometimes because 33 is starting to feel a bit grown up for my liking, sometimes because of the sad irony of the tandem events, but mostly because I just miss the old bugger. 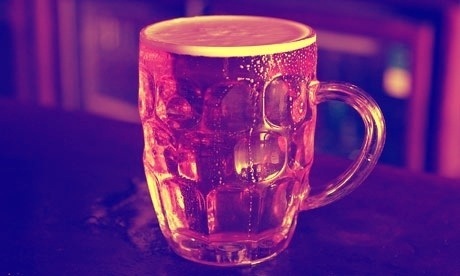 But this week I feel like I have new friends, friends whom I have never met nor am likely to meet – but they’re all out there, being strong, some of them not knowing that that makes them more amazing than they know, and so the pint I would normally raise to Dad was raised to them. It’s not just because you wrote about it, though that cannot be overlooked. It is because you wrote about it so beautifully and with such humanity. Your depth of understanding AND your craft as a writer combined to produce something that is more than the sum of its parts. Sadie,you may be right we may never meet in person.But like you feel i have met and made friends with wonderful people.If you wrote a article about dogs eating snow cones,i would still read and love it,your wonderful personality shines in your writing. Have a great day my friend.